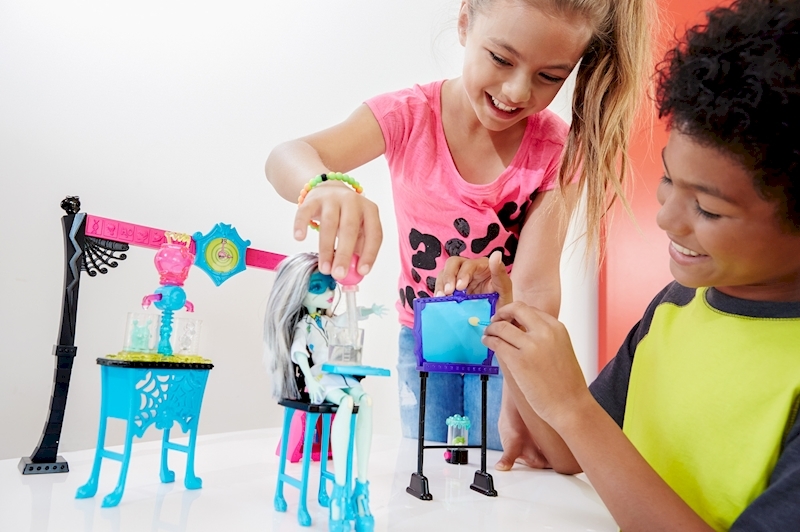 The Monster High™ play set features classic pieces with iconic designs and monsterrific twists. The frog in his home hops up and down when the button is pressed. The flower "grows" when water is poured into it. 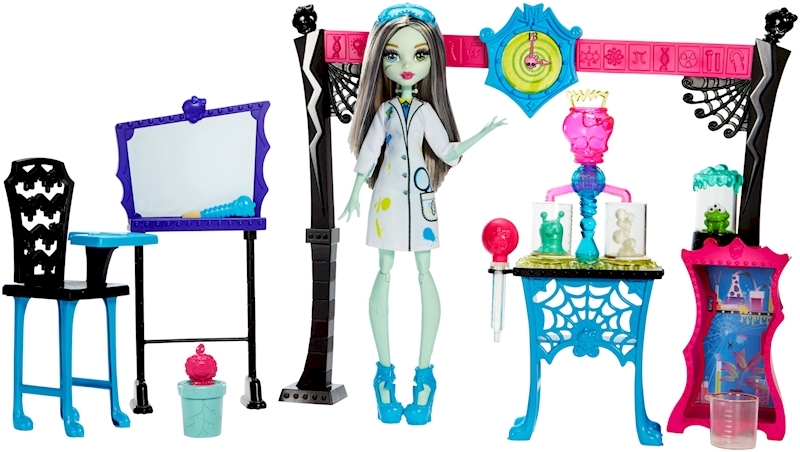 The lab bench features not one but two color-change experiments. 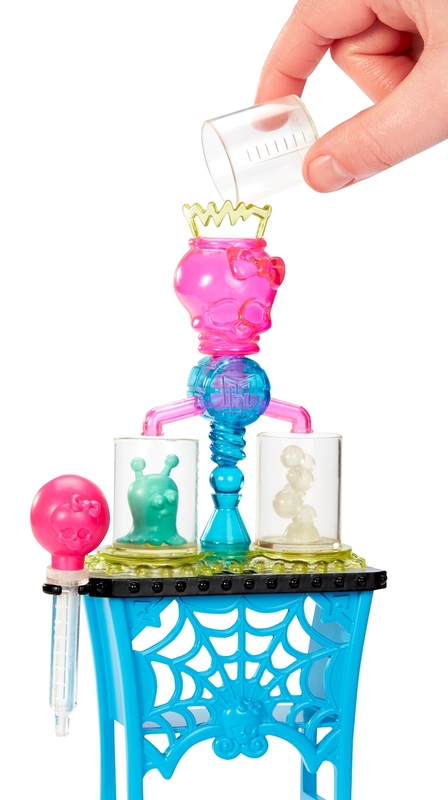 Young scientists can fill the beaker with cold water -- it turns pink -- then pour into the Skullette™-shaped funnel and choose one of two paths: turn either the critter or the bubbles another color. Fill the medicine dropper with warm water to change them back. Perform the "experiments" over and over again, and record the work on the working backboard: dip the sponge "chalk" in cold water and write on the blackboard to see your work appear in another color. 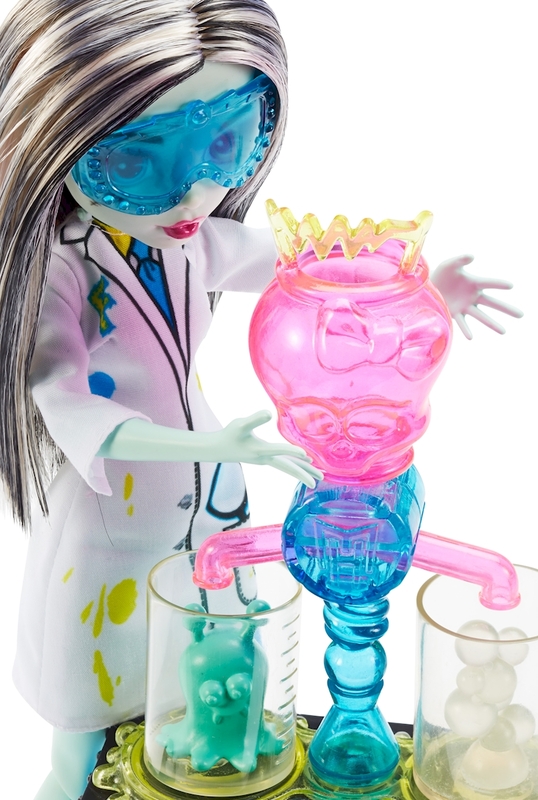 Frankie Stein™ doll is ready for class with a lab coat and safety goggles.